In the Tibetan settlements, there is a question on everyone’s lips but no one wants to discuss – what will happen when the Dalai Lama is gone? Life without the Dalai Lama? DHARAMSALA, INDIA – high in the foothills of the Himalayan mountains, something strange is afoot. For the first time in six decades, Tibetans are starting to consider the possibility of life without His Holiness the Dalai Lama. 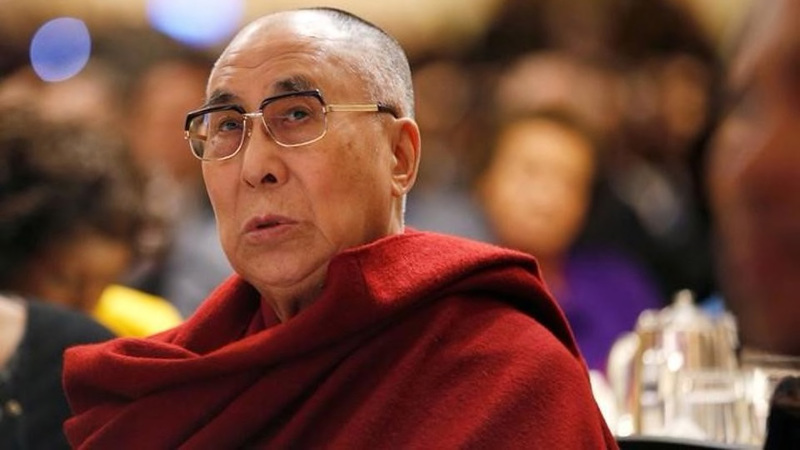 Concerns have been growing about His Holiness the Dalai Lama’s behavior in recent years. The slow decline in his reputation began early in 2015 when in an interview about his successor, the Dalai Lama told the media that he would be the last Dalai Lama. He then further claimed that if the institution were to continue, he would come back as an “mischievous blonde female” and “her face must be very attractive” or “nobody pay much attention”. 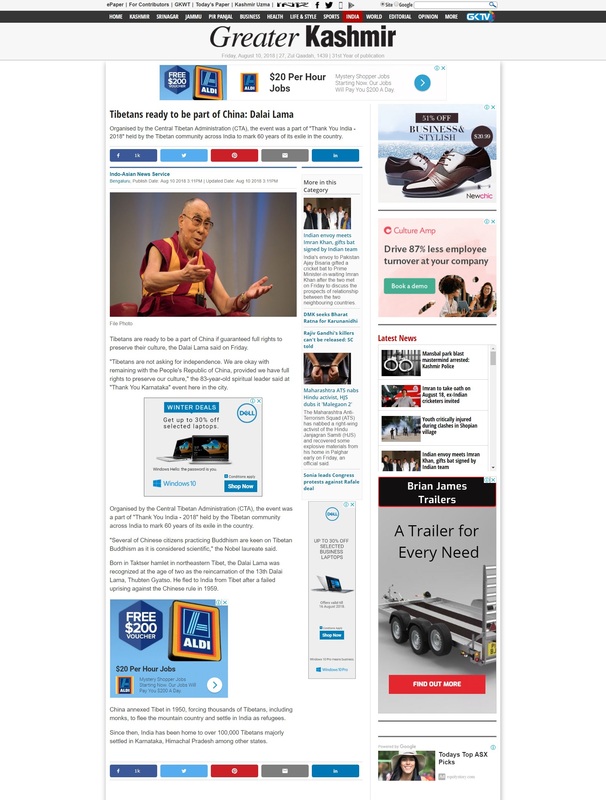 Globally, the Dalai Lama was swiftly condemned as sexist, with some accusing him of holding misogynistic views towards women. 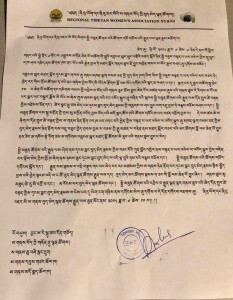 Members of the Tibetan leadership, including Sikyong Lobsang Sengge, scrambled to clarify the Dalai Lama’s statements but the damage control came perhaps too little, too late. At 82 years old, most people would be happily retired but this has not been the case for the Dalai Lama. But as the Tibetan leadership fails to find a qualified successor for the public relations juggernaut that is the Dalai Lama, concerns are growing for the future of the Tibetan people. Later, in October of that same year, the Dalai Lama was accused of exploring relationships with women, with the reporter even providing a photograph she claimed was the Dalai Lama on a date with her mother. Her report was subsequently met by widespread skepticism and later retracted by the online publication Broadly, who apologized for their failure to fact-check. Nevertheless, observers of the Tibet situation were keen to note that in years gone past, such reports about the consummate media darling would have been unthinkable. The fact they are becoming more frequent has not been lost on the Tibetan government. Buoyed by public sympathy for his health conditions, the Dalai Lama nearly made it through 2016 without further gaffes. That is to say, until September when he infamously closed the year off by mocking then-President hopeful Donald Trump, going so far as to imitate the President’s infamous hairstyle. It appears however, that his disarming giggle was not enough to charm the White House who were decidedly unamused. To this day, the US President has not indicated any interest in meeting with the Dalai Lama, a sure sign of his disinterest in the Tibetan cause. This interview was followed by a 2017 televised appearance on the host John Oliver’s show, during which he claimed that he was not in the position to criticize self-immolations. 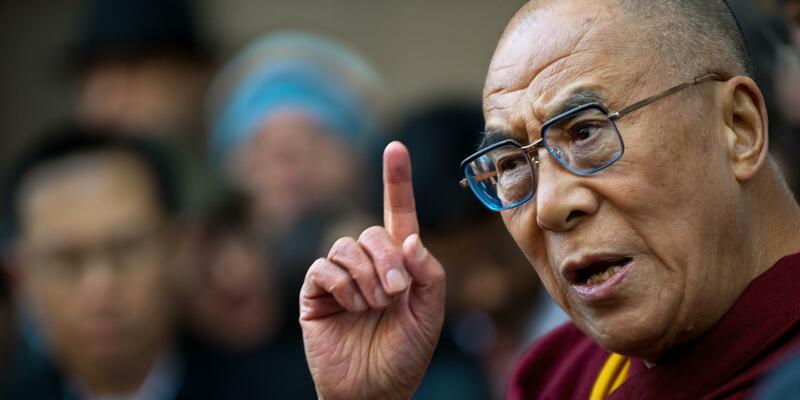 The Dalai Lama was heavily criticized for his remarks in this interview, by an incredulous audience who found it difficult to believe that the leader of the Tibetan people was not able to offer any comment on or was powerless to stop any of these violent suicides. 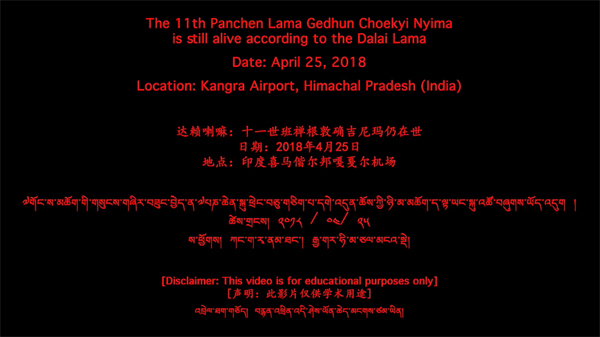 The Dalai Lama’s beleaguered reputation has not been helped by Dorje Shugden practitioners who continue to shadow his worldwide appearances, protesting for the freedom to practise their religion free from persecution. Given such a series of public relations missteps, there is little surprise that the Tibetan leadership have seen it fit to scale back His Holiness’s public engagements. In the last few months of 2017, the 82-year old Tibetan leader has called off a series of international visits and meetings, with his team citing exhaustion. In an interview in 2016, the Dalai Lama mocked then-President hopeful Donald Trump. Since being elected into power, President Trump has not indicated any interest in meeting with the spiritual leader and has in fact steadily eroded American government support for the Tibetan cause. This has done little to stem talk of the Dalai Lama’s wellbeing, after 2016 was dominated by rumors of ill health after His Holiness visited the Mayo Clinic. Reports from the media attributed these visits to everything from a general check-up to chemotherapy. 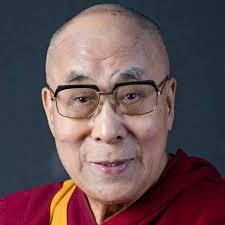 The Associated Press even reported that the Dalai Lama was receiving treatment specifically for prostrate cancer. Closer to home, the toll of this repeated negative press is starting to be felt in the Tibetan settlements. Lhundrub, 45, admits that he worries about the Dalai Lama. Declining to give his full name, Lhundrub agreed to be interviewed only on the condition of anonymity, saying that he feared retribution on his family who continue to live in the settlements. Indeed, current polls suggest that Sikyong Lobsang Sengge is facing a crisis of confidence, with his approval ratings registering at an all-time low. According to a well-placed source within the government, there is growing concern about this among the Tibetan establishment. Dhardon Sharling has been heavily promoted by the Sikyong Lobsang Sengge. Her frequent appearances by his side has triggered public suspicions about the reasons behind the Prime Minister’s apparent favoritism towards her. He is anxious to clarify that he is not the only person who feels that way. “Within the Parliament, there are many people who are starting to doubt the Dalai Lama’s decisions. 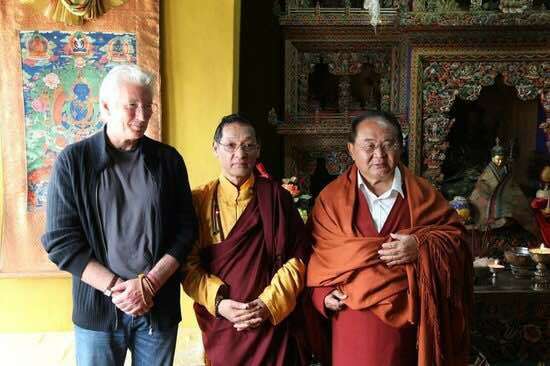 As a spiritual guide, they continue to respect him but doubts about his political acumen and decision-making process are gaining strength,” he tells us. As the Tibetan leader continues to advance in age, it is a question no one wants to ask but everyone knows needs to be answered – what will happen after the Dalai Lama is gone? No doubt preparations are quietly being made in this burgeoning democracy for the Dalai Lama’s successor, but observers point out that a single charismatic leader has yet to be identified. After decades of divisive policies and institutionalized segregation by the Tibetan leadership, and an over-reliance on the appeal of the Dalai Lama, disheartened Tibetans find they can do little else but offer their prayers that the Tibetan leadership wakes up soon to the reality that more will need to be done soon to draw their people together. Until such time that happens, there is very little that people like Lhundrub and Tselha can do but sit and wait. Click to enlarge. An article published in a local Floridian paper, citing information from the Associated Press that the Dalai Lama has prostate cancer. China’s economic prowess is not to be underestimated. Leaders from various countries seek economic collaborations with China, who has been contributing to the world’s economic growth, especially in the past decade. 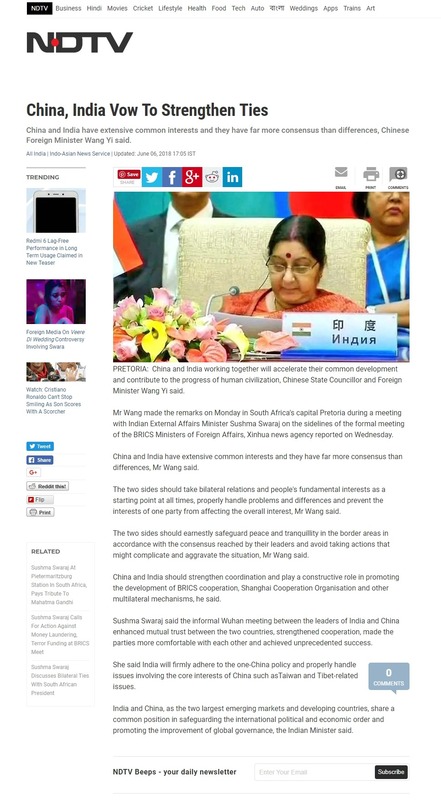 The Indian Intelligence Bureau’s (IB) report highlighted the lack of opportunities in India for growth and advancement as the causes for Tibetan youth to willingly betray their host India and work as spies for China. Tibetan youth clearly have difficulties to survive in India as CTA failed to create sufficient jobs for the Tibetans in exile. This is a reality and we will see more and more trend like this and eventually Tibetans seeking improvement in their quality of life and intellectual advancement will leave India and ‘return’ to China. DHARAMSHALA, Jan. 5: Indian Intelligence Bureau (IB) has reportedly said that China is recruiting Tibetan refugee youth in the Northeastern parts of India to provide strategic information in exchange for monetary gains. 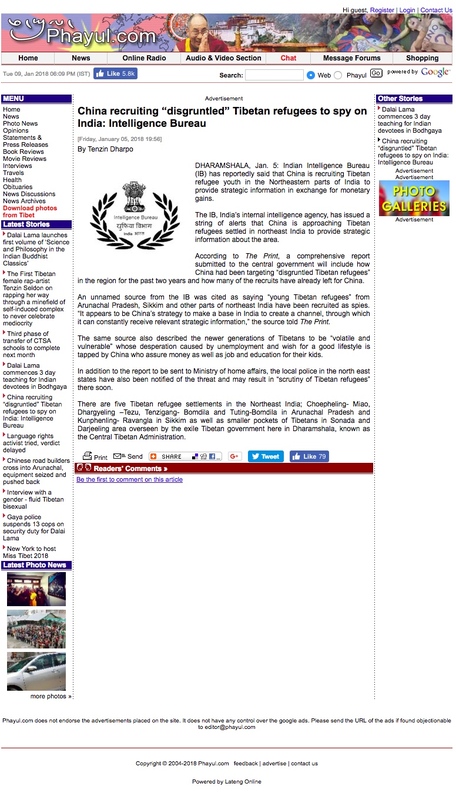 The IB, India’s internal intelligence agency, has issued a string of alerts that China is approaching Tibetan refugees settled in northeast India to provide strategic information about the area. According to The Print, a comprehensive report submitted to the central government will include how China had been targeting “disgruntled Tibetan refugees” in the region for the past two years and how many of the recruits have already left for China. An unnamed source from the IB was cited as saying “young Tibetan refugees” from Arunachal Pradesh, Sikkim and other parts of northeast India have been recruited as spies. “It appears to be China’s strategy to make a base in India to create a channel, through which it can constantly receive relevant strategic information,” the source told The Print. 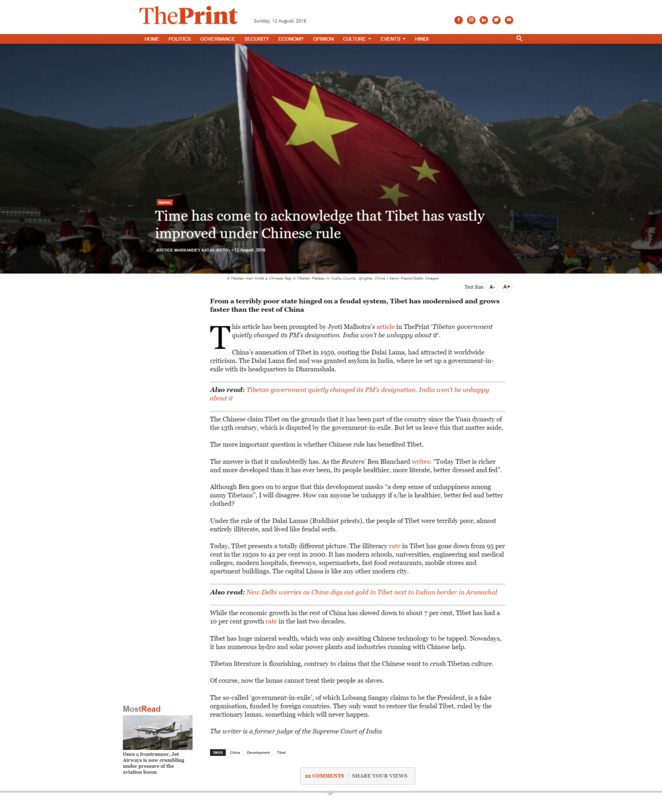 The same source also described the newer generations of Tibetans to be “volatile and vulnerable” whose desperation caused by unemployment and wish for a good lifestyle is tapped by China who assure money as well as job and education for their kids. In addition to the report to be sent to Ministry of home affairs, the local police in the north east states have also been notified of the threat and may result in “scrutiny of Tibetan refugees” there soon. There are five Tibetan refugee settlements in the Northeast India; Choepheling- Miao, Dhargyeling –Tezu, Tenzigang- Bomdila and Tuting-Bomdila in Arunachal Pradesh and Kunphenling- Ravangla in Sikkim as well as smaller pockets of Tibetans in Sonada and Darjeeling area overseen by the exile Tibetan government here in Dharamshala, known as the Central Tibetan Administration. Instead of creating employment opportunities, the Central Tibetan Administration (CTA) has nurtured a culture where Tibetans expect handouts and foreign aids to get by. As a result, they created a new generation of Tibetan refugees who are volatile and vulnerable, and always depend on others to help them out of circumstances. Now, Tibetan refugees in India do not even hesitate to compromise the security of their host country, India, who has been so kind to them, in exchange for monetary gain. 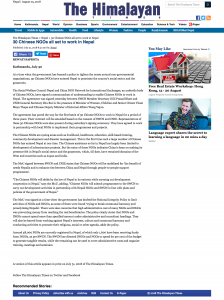 IB issues alert that many refugees settled in northeast India are being paid and offered jobs by China in exchange for strategic information. New Delhi: Amid rising India-China tensions along the Line of Actual Control, the Intelligence Bureau (IB) has issued a string of alerts warning that Tibetan refugees settled in northeast India are being approached by China to provide strategic information about the area. 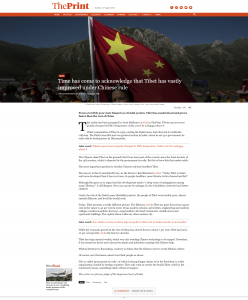 While China has reportedly managed to convince a number of young Tibetan refugees to work as its spies in exchange for money, it is aiming to recruit many more, IB sources told ThePrint. According to the alert, based on which a detailed report will soon be submitted to the government, China had been eyeing disgruntled Tibetan refugees in the region for the past two years. Sources said that many of the refugees it has recruited have already left for China. 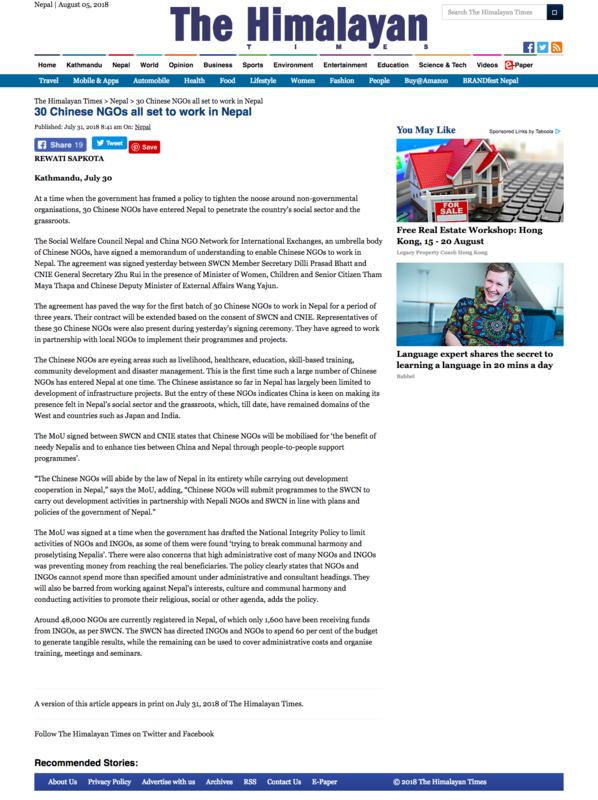 “We received an alert stating that young Tibetan refugees settled in areas of Arunachal Pradesh, Sikkim and other parts of northeast India are moving to China. We learnt that China is trying to recruit the refugees as spies in the area,” a source said. The local police in the concerned states have also been sounded out about the alert. A report is being prepared and will be submitted to the Ministry of Home Affairs, following which a scrutiny of Tibetan refugees in the area may start. 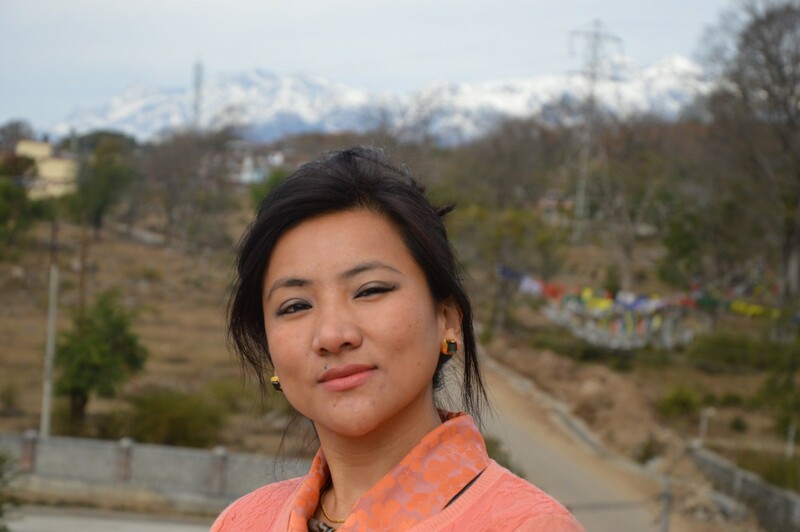 “The present generation of Tibetan refugees is very volatile and vulnerable. While they wish to have a good lifestyle, they do not have any job opportunities. This is what the Chinese took advantage of to plant their spies,” the source said. China has been liberal towards Buddhist practitioners, including those who practice Dorje Shugden. In fact, there are 250 million Buddhists in China currently, almost three times more than communist party members. On the contrary, the Tibetan leadership in exile continues to discriminate against Shugden practitioners and politicizes the Shugden controversy to their benefit instead of promoting harmony among Buddhist practitioners. How ironic that the Central Tibetan Administration (CTA) continuously criticizes China for their human rights issue, and yet the CTA fails to respect even the most basic human rights of other people, freedom of religion. The Chinese directive was made in response to the de facto religious ban implemented by the Dalai Lama and Tibetan Government in Exile, and to their suspected destabilizing activities inside the TAR. The directive proposes educational and law enforcement measures to be implemented inside the TAR to mitigate the risk of division and unrest that the controversy may cause. Tashi Tadchen, a representative of the European Dorje Shugden Society which was set up to create awareness of the supposed ban, says that following the exiled Tibetan leadership’s edict against the Shugden practice, there have been frequent clashes which at times have led to loss of lives between those who feel obliged to follow the Dalai Lama’s decree and adherents of the Shugden practice. Even so, no concrete evidence has ever been supplied. However, whilst the intended objective is unclear, the Dalai Lama’s Shugden exclusion has created unrest amongst Tibetans inside the TAR. This is precisely what China fears. China sustains a “One China” policy to maintain stability and prosperity of the state. Any divisive conflict in the TAR such as the Shugden split, does not augur well for it’s objectives. This is not an objective the exile Tibetan Government necessarily shares and its ability to influence affairs in the TAR is one of it key bargaining chips. Lobsang Sangay’s dismissal of Penpa Tsering with various accusations backfired, contrary to Lobsang Sangay’s expectation. Now, Tibetans are protesting and expressing their loss of trust in his leadership. Lobsang Sangay has to clarify a lot of things to the public, including the USD1.5 million loan with Tibet Fund. Tibetans are now beginning to see Lobsang Sangay’s true colours and are speaking up against him now. Sikyong Sangay, the ball is in your court now! On 5 December 2017 former speaker Penpa Tsering made a detailed clarification rejecting every allegation, categorically, that Sikyong Sangay lobbed on him on 6 November 2017. But to Sikyong’s shock, the 10-point grenade of accusations didn’t burst on PT. It just refused to do so. It backfired. Sikyong’s attempt to tarnish the image of a dedicated public servant for both political and personal reasons has failed. With the vigilance and quick action from the public, the humble Tibetan people have spoken! The grenade burst back on Sikyong in the form of protest and loss of trust in his leadership. Sikyong never imagined even in his dreams that the Tibetan public would one day rise and speak truth to power right in his face. Terminating PT is the enormous miscalculation Sikyong made after being in office for nearly two years in his second term, and he is now paying the price. Many, including those who voted for Lobsang Sangay, are now beginning to see him as a shallow, fake, narcissistic, crooked, unreliable, cowardly, small-minded, touchy, egotistical, arrogant, greedy, deceptive, unappreciative of criticism, irresponsible, vindictive man, and also a sack full of outrageous lies. These are the characteristics of a wicked conman that HH abhors and does not wish to see in any human being, let alone Sikyong whose office is tied to the destiny of the six million Tibetan people. 1. The claim that LS gave the representative post to PT by recalling his friend Kaydor Aukatsang to Dharamshala even before his tenure was numbered is a lie. The fact is that Gaden Phodrang was not happy with Kaydor’s performance in general and his election controversy in particular, so LS had no choice but to recall Kaydor and appoint Ngodup Tsering in his spot. This decision was taken long before LS posted PT to Washington DC. Yes, LS decided to name PT to the post of representative in Brussels. 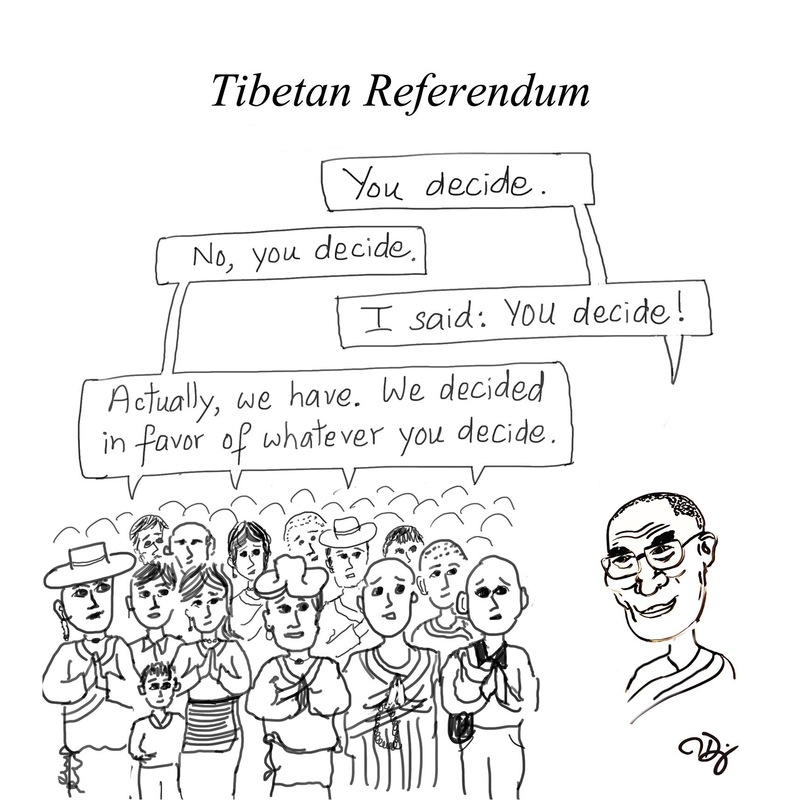 But that decision had to change later, and the credit goes to Gaden Phodrang, not Lobsang Sangay. 2. What hurt Sikyong’s ego most was when PT, like an honest statesman, suggested that there should be a payable record with Office of Tibet when there exists a receivable record with the Tibet Fund regarding the $1.5-million loan. This process, he argued, sits well with both the accounting practices and the local laws. Article 6 of the exile charter states that the local laws must be respected at all cost. However, LS violated this critical article in the charter, as usual with a straight face. 3. Narcissistic. LS asked former MP Koren from Europe to submit a Nobel Peace Prize nomination for him. Remember the picture of himself with Buddha in the background on a thangka hanging on the wall beside his desk? Thangkas are usually reserved for Buddhas and bodhisattvas. He has no shame in hanging such a thangka in his office. The irony is that he prefers to call himself Senge “Lion” instead of Sangay “Buddha.” When it was found out that his actual name is spelled Sangay in Tibetan in his Green Book, he insisted and changed to call himself Senge rather than Sangay. Also, his portrait photo lined up on par with HH during elections. His framed picture was carried by well over 60 supporters at the JFK airport recently, an act that is usually reserved for a religious figure like the Dalai Lama. This is all coming from a remote control in LS’ hand. Sangay wishes to be listed as a Nobel laureate alongside the Dalai Lama. He’s a dreamer, but that’s LS for you. How can he even think of competing with His Holiness? 4. Egoistic. LS also asked MP Pema Chazoetsang from the US to submit his name for the Templeton nomination, a prize worth around $2 million which is usually awarded to a scientist who is prepared to say something nice about religion. 5. Vindictive. LS terminated PT because PT raised questions with facts and compelling reasons whenever his duty required him to do so. You rarely see this kind of leader in our community except for MP Dolma Tsering who stands her ground and speaks up and grills powers that be. I salute her from the bottom of my heart because our community needs more leaders like her. 6. Can’t stand criticism. The fact is he is a highly vindictive person. He can’t stand criticism let alone appreciate it. That’s the height of childishness sitting in the character of a man whom we expect to lead us through these dark times. 7. 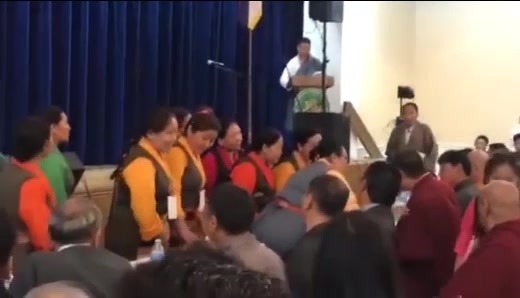 About two months after the election was over on 20 March 2016, HH gave LS a dressing-down in front of the staff of Gaden Phodrang, Penpa Tsering, and the Justice Commissioners. His Holiness reminded him that he was telling everybody he met that LS was his political boss to create a decent image (but LS gets carried away as usual) of the Sikyong on both the domestic and global stages so that the Tibetan cause could benefit from it. But when LS blatantly indulged in lie after lie and falsehood after falsehood, HH asked him point-blank what was the point in HH continuing to live any longer if the man he praised publicly is full of lies. The entire dressing-down episode took only minutes. LS was the only one who refused to keep a copy. He merely wanted to feign ignorance of the contents if people demanded a copy of the same. He wept after the Speaker and Justice Commissioners left in front of HH. He wept perhaps realizing his outrageous lies could cost him his political career any time. Had HH dressed him down in public that would be the end of LS not only as a leader but even as an individual. HH can’t keep LS at a distance because he is an elected leader and it would look bad on the Sikyong if HH did, although the nature of his personality warrants otherwise. This is the problematic position HH is in. Long ago one of my brothers was a monk, carrying Nechung in a trance, at Namgyal Dratsang, HH own monastery. And with a connection in the right place, it is not hard to find a reliable, eyewitness source of information. 8. 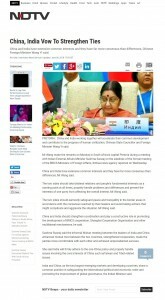 It was LS who leaked the secret visit Samdhong Rinpoche made to China recently. Why? To put that on his list of achievements if any. To boost his political image, he makes sure the Tibetan public and the media are not left in the dark even on this secret visit of the former president! 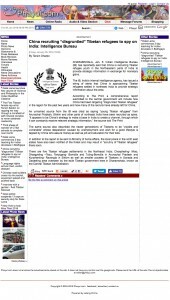 LS tipped off Indian intelligence anonymously, and Indian intelligence passed it to an Indian journalist who wrote about it first. 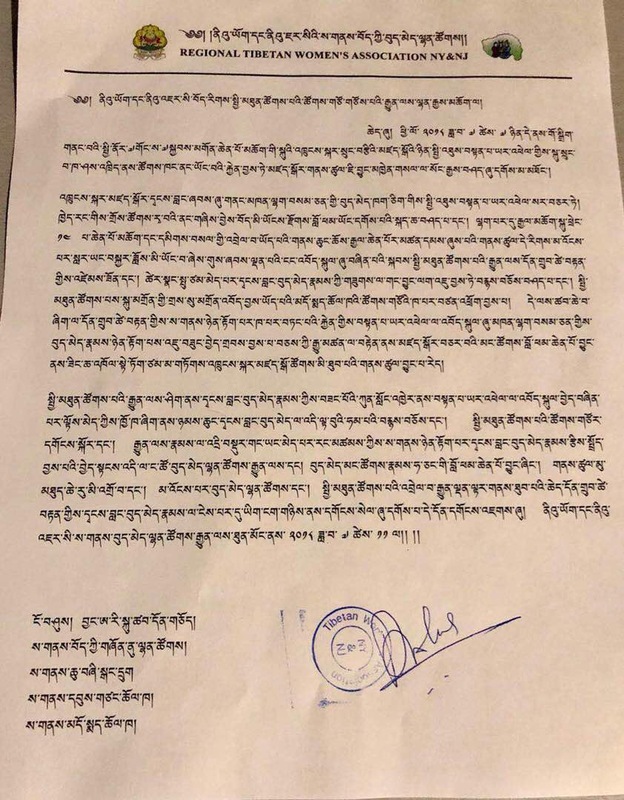 If the current nightmare is to end soon, then it’s time Sikyong either declares PT’s clarification a bag of lies, or answers his conscience honestly and offers an apology to PT in public. The ball has been in Sikyong’s court for more than 40 days now. But there has been no response whatsoever from Sikyong. PT did not accept even a single accusation as real, and if Sikyong continues to remain silent, then it only means the truth is on PT’s side. Sikyong should also immediately apologize for deceiving the Tibetan public and creating chaos and rift in our community. Failing this, PT will have no choice but to leave no stone unturned in seeking justice, and that could include the taking of Sikyong to the Tibetan court and possibly the US court too on defamation charges. The clock ticks now! PS: Two pieces of good news! LS cannot come back in 2021. To do so, he has to win 30 votes in the Parliament. Both U-Tsang and Amdo parliamentarians won’t let that happen! PT is eligible to fight in the Sikyong election in 2021! 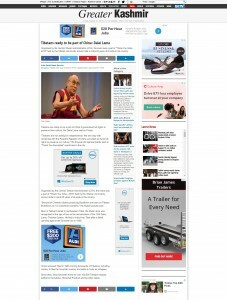 His Holiness the Dalai Lama is expressing his wish to visit China again. This is not the first time His Holiness mentioned about visiting or returning to China. In fact, His Holiness made a strong statement in November 2017 that His Holiness “would return to Tibet at once, if China agrees”. Could this be another sign from the Tibetan leadership that rapprochement with China is happening soon? CTA has not done anything beneficial to the Tibetans in exile community or Tibetans in Tibet for the past 60 years. They only create pain and suffering to the normal Tibetans while they are the only people who benefitted financially. The CTA only cares for themselves, this is the culture, it has been like this since in the old Tibet days. For the Tibetans in the exile community, they have the first-hand experience with the CTA and it is not pleasant. 20 years ago, CTA imposed the Dorje Shugden ban. 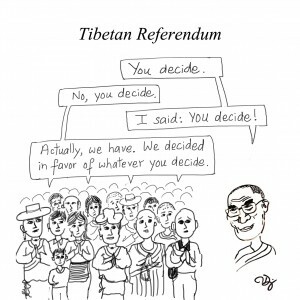 The ban did not bring Tibetans closer or more united, it actually creates so much tension in the Tibetan community. The ban also did not improve the progress of the Tibet cause. In short, the ban only harms the Tibetan community than doing any good. If the CTA is a good government, they will evaluate the result of the ban and it is very clear to see the ban brings no benefit but harm. They will immediately lift the ban, resolve the conflict and unite the Tibetans. As long as the CTA doesn’t do that, more Tibetans will leave the exile community as the Tibetans have completely lost their confidence in CTA.